This 1958 advertisement for aluminum from Canada was featured in the book The Golden Age of Advertising - The 50s. 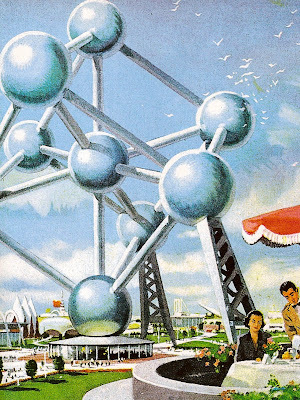 This is a picture of the Atomium in Brussels from Expo 58. Just discovered this blog. Wonderful!